During the Cold War the principal role of a fleet submarine was to silently observe and track Soviet submarines and ships leaving port. With the end of the Cold War many submarines were adapted to carry Tomahawk land-attack missiles as well as launching teams of Special Forces. 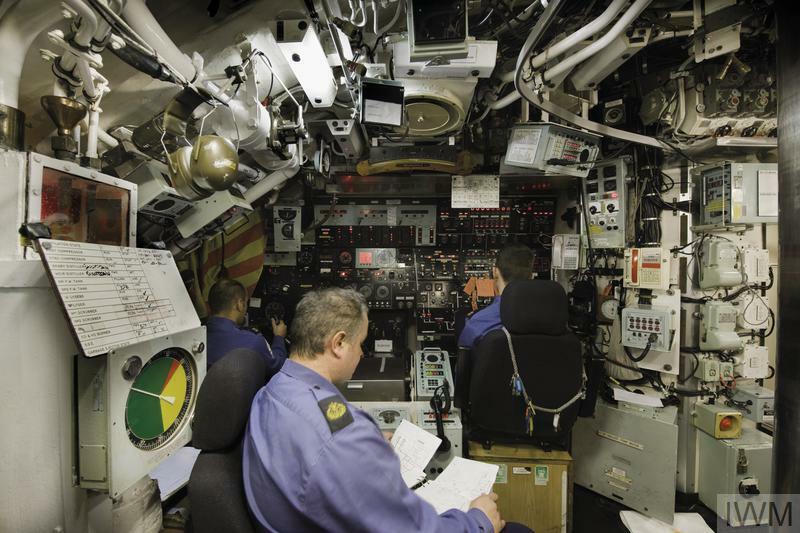 In this role submarines have taken part in conflicts around the world such as in Serbia, Afghanistan, Iraq and Libya. The dangerous and claustrophobic life on board a submarine required the ship's company of 120 men to work as a close team. Decommissioned in 2010, HMS Sceptre was the last of the Royal Navy's Swiftsure class of nuclear-powered fleet submarines. 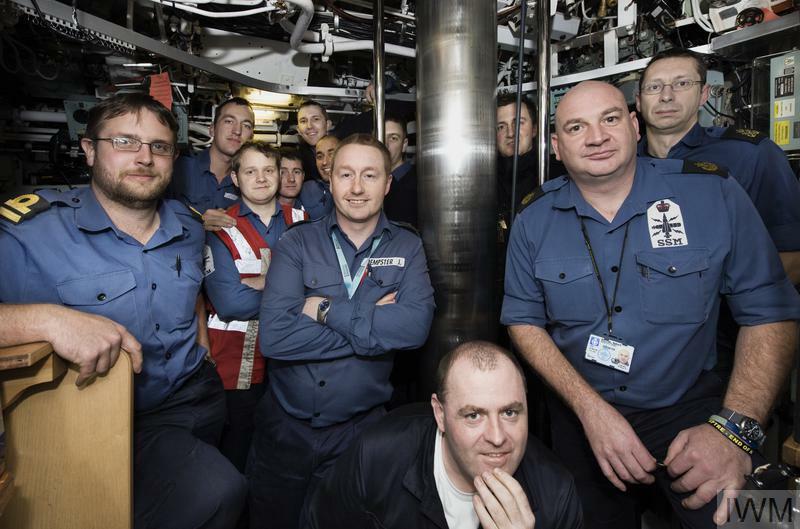 These photographs, taken just as HMS Sceptre was decommissioned, offer a glimpse into what life was like on board a British nuclear submarine. 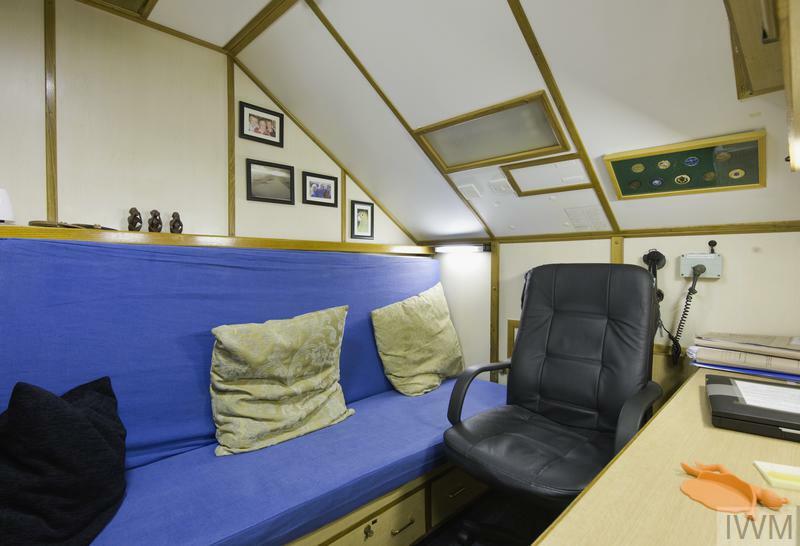 The main sleeping area for junior submariners was basic, with limited personal space. Here, bunks were stacked in threes, each 1.5 feet (0.5 metres) high. With just a curtain, there was little privacy. There were not enough bunks for all men, resulting in what was called 'hot bunking'. 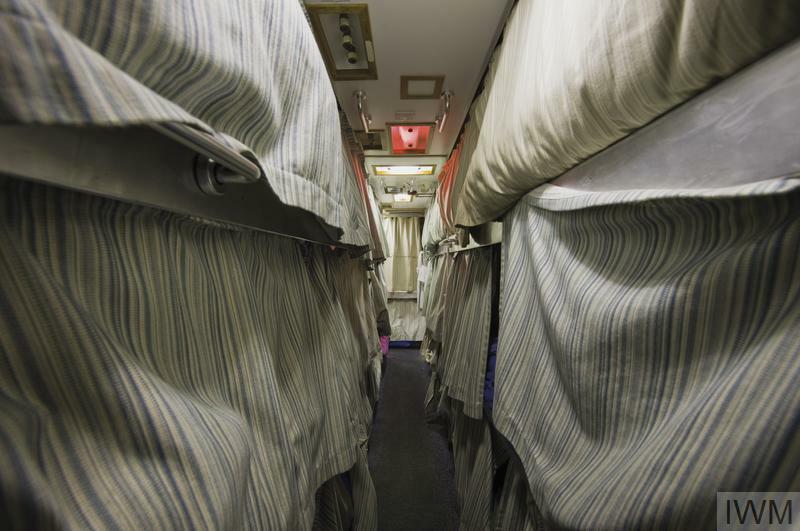 Two or even three men would use the same bunk in rotation - working shifts of six hours on, six hours off, those sleeping were often woken by the person who next required the bunk. Senior submariners had similar facilities, though shared with fewer men and each had their own bunk. The commanding officer was the only member of the ship's company entitled to his own cabin. This cabin also served as his office. It was situated near the boat's Control Room so he could respond quickly when needed. The 'Mess' is where members of the ship's company relaxed, enjoyed entertainments and ate meals served from the Galley hatch. 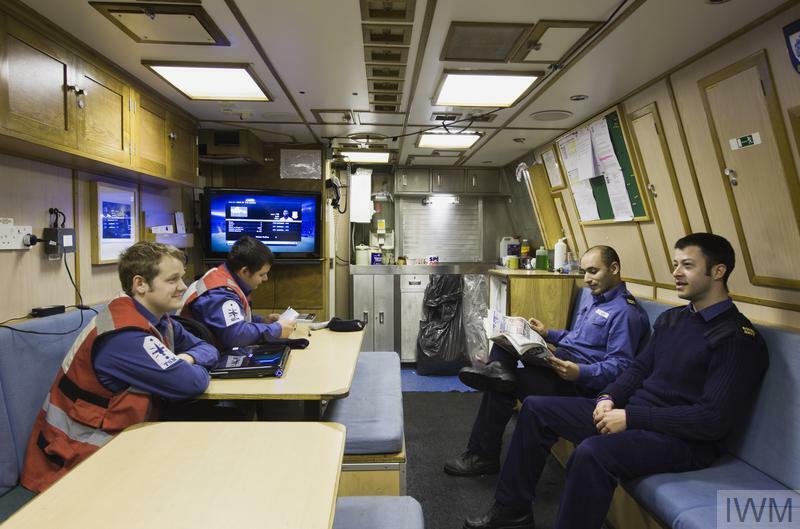 There are three mess spaces on board HMS Sceptre, one for Junior Rates, one for Senior Rates (Non-Commissioned Officers) and the Wardroom for Officers. 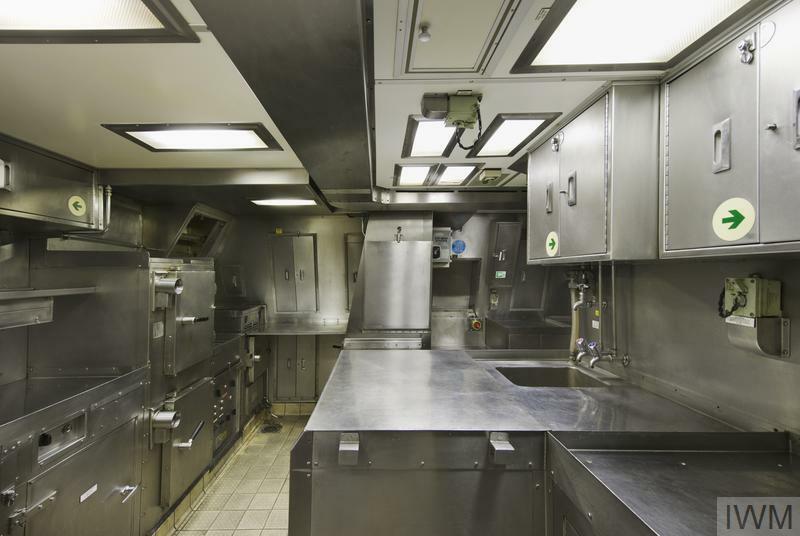 While at sea, dedicated navy chef's in Sceptre's Galley produced four freshly cooked meals a day. Over the course of a patrol - usually three to six months - in this small space the team of four cooks and assistants would have served the 120 men 25 miles (40 km) of sausages, 5,000 pints of milk and 70 bags of potatoes. The Control Room was the command centre of the boat. It housed the steering position, the periscopes and the navigation plotting table. It also housed the Tactical Systems Department, which used data provided by the Sound Room and other sensors to ensure safe travel in peacetime and to provide target information during wartime. The helmsman at the steering position controlled the boat's course and depth, but not its speed. 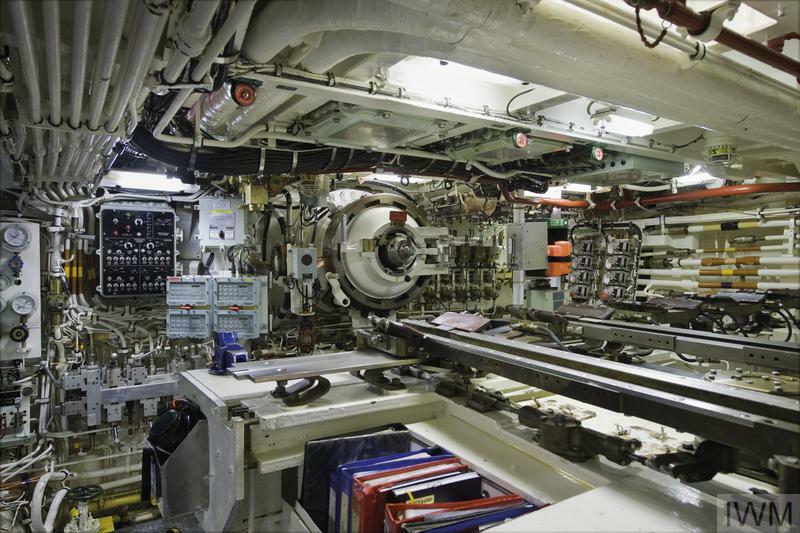 Submarines are normally only 'rigged for red' to allow use of the periscope at night, dusk and dawn without interference from bright light in the control room. 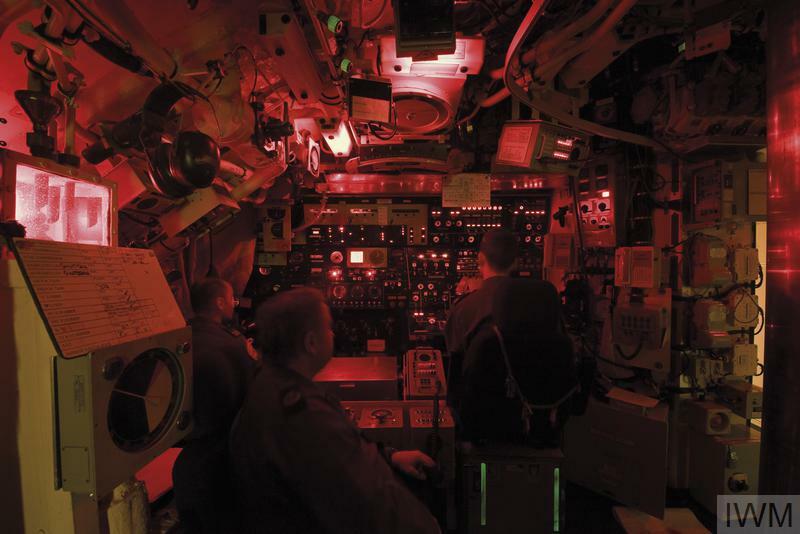 A submarine is at its most vulnerable to collision when coming to periscope depth and red light gives the operator additional reaction time as his eyes do not need to adjust to night conditions. Using sonar, radar, and other sensors a submarine can get a near 360-degree picture of the sea around it. 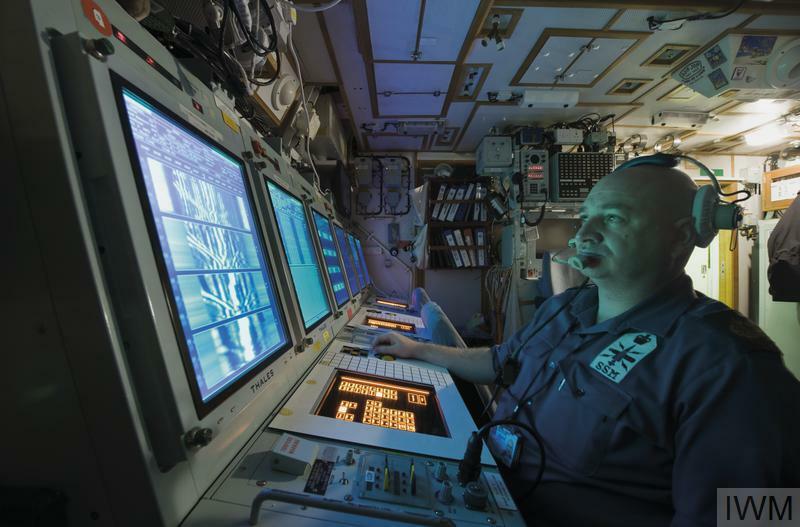 Sailors can simultaneously track multiple objects above and below the surface. These objects may be friendly or hostile ships and submarines, but also underwater rocks or shoals of fish. Seen empty and unarmed, the Weapons Stowage Compartment, also known as the 'Bomb Shop', was the working space for submariners of the Weapon Engineering Department. The submarine had five torpedo tubes and would have stowed a combination of 25 Spearfish wire-guided torpedoes or long-range Tomahawk cruise missiles. The 'Bomb Shop' was also used as sleeping space for Special Forces parties and submariners-in-training who had not earned their 'Dolphins', the coveted symbol of being a qualified submariner. 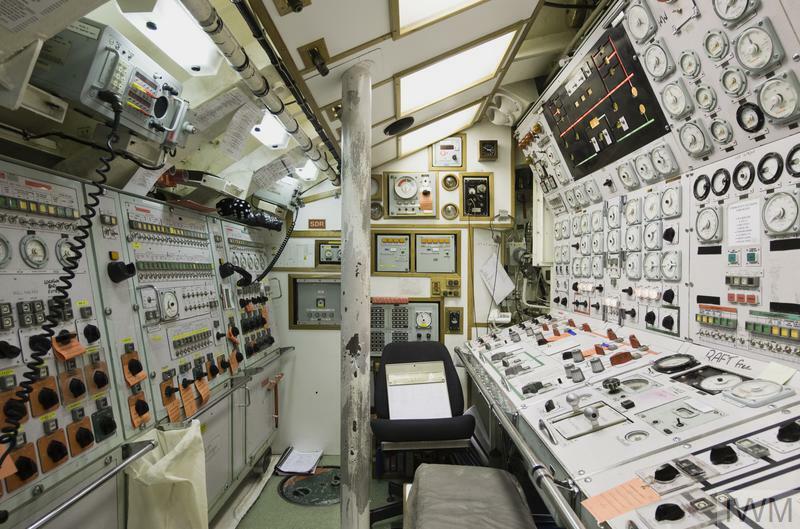 The Manoeuvring Room houses the controls of the submarine's nuclear reactor. It is also where the boat's power and speed is controlled using the throttle, seen here centre right. After nearly 50 years of using nuclear power in submarines, the problem of what to do with the irradiated shell of a retired submarine remains. At the time of her decommissioning in 2010, HMS Sceptre at 34 years old was the oldest sea-going vessel in the Royal Navy. The end of Sceptre's long service was marked in Plymouth by a traditional decommissioning ceremony. For many men the decommissioning marks a parting with their shipmates. Changing boat is not just leaving a job - it is also leaving a home and friends. Why did British troops leave Aden? Ever since they occupied Aden as a territory in 1839, British troops were subjected to attacks. From 1962, Britain was engaged in an escalating conflict in the protectorate. This workshop, one of five organised as part of the AHRC BBC Monitoring Collection Research Network, took place at IWM London and considered how the BBC Monitoring Transcript Collection could potentially enrich and develop existing historical narratives of the Cold War.